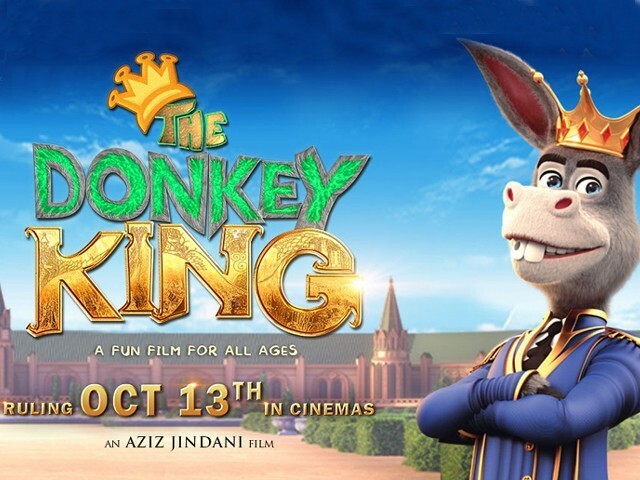 The newly released The Donkey King is another fine addition to the animated movies produced in Pakistan. Following the release of Allahyar and the Legend of Markhor, which garnered a lot of success, critics and viewers alike were wondering when the next big thing in Pakistani animation will arrive. 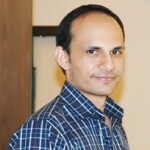 The Donkey King may not be as grand of a production as Allahyar, it is, however, another major step forward as far as Pakistani animation is concerned. Produced for a younger audience with a subtle message for adults, The Donkey King manages to deliver quality while making the audience roar with laughter. The movie has various ‘pun-intended moments’ and witty comments which will surely bring a smile on your face. Directed by Aziz Jindani and produced by Talisman Studios, The Donkey King is set in the Kingdom of Azad Nagar. The political structure of this kingdom has pretty much been the same for years, where the lions are the rulers. There are a number of herbivores residing in the kingdom as well. The donkeys, however, are at the bottom of this hierarchical structure. Our protagonist is Mangu, voiced by Afzal Khan or Jan Rambo as he is still referred to, who is a washerman. Mangu ranks the lowest in the hierarchy, with no hopes to even consider himself a better off animal in Azad Nagar. However, certain things bring forth a change in Mangu’s life. The story reveals how the Badshah (voiced by Ghulam Mohiuddin) decides to abdicate his throne and calls for elections so that the system moves towards democracy. This idea is planted in Badshah’s head by Miss Fitna (voiced by Hina Dilpazeer), a sly fox minister who also serves as the king’s advisor. It is at this point that the story takes an interesting and unusual turn. Much of the evil plans incorporated by Miss Fitna, as her name aptly suggests, direct the viewer’s attention as to how a certain group of politicians change public opinion regarding a king or a leader. 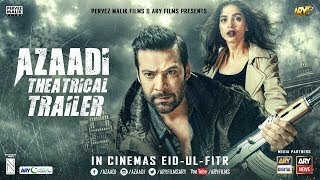 It is interesting how the director and writers, Jindani and Kamran Khimani, have embedded in this movie such notions of politicians garnering support from the masses and the masses switching their loyalty from one leader to the other. Without revealing the plot, I would only say that Miss Fitna wants democracy and not monarchy and this tussle between the king and the democratically-elected leader forms the basis of the conflict. A subtle message of the movie is that anyone can become a leader, be it a lion or a donkey. Unfortunately, in reality, when looking at our society, this seems highly unlikely. 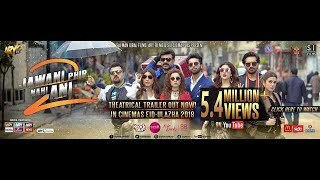 Other interesting characters in the movie include Breaking News (voiced by Faisal Qureshi), Rangeela (voiced by Salman Saqib Sheikh or Mani), Changu (voiced by Javed Shaikh), Pehalwan Chacha (voiced by Ismail Tara), Ronald Crump (voiced by Shafaat Ali), Jamboora (voiced by Irfan Khoosat), Sardar Chacha (voiced by Shabbir Jan), Mangu’s love interest (voiced by Sahiba Azal), Mr Propoganda (voiced by Ahsan Rahim), Panoti (voiced by Irfan Malik) and Raja Uncle (voiced by Ali Hassan). Although The Donkey King offers many comedic scenes, there are certain parts in the movie that feel a bit dragged and the movie risks losing the viewer’s attention. However, it is how Mangu’s character is portrayed that keeps the story and its characters glued together. Moreover, the movie, although aimed for children, is a bit too complicated for them since it discusses loopholes in democracy and leadership. Therefore, the tagline of the movie, ‘a fun film for all ages’ may not apply to its core because when the characters are discussing politics, the children will not be able to comprehend the dialogue. However, the animation is smooth and one can see that the filmmakers paid a lot of attention to detail. The dialogues are short and crisp and take into consideration our cultural backgrounds. Moreover, the characters are also developed with enthusiasm as each has a certain place in the movie and does not feel forced. The actors have lent their voice perfectly, seeing them as animated characters makes the movie even more fun to watch. I urge everyone to go see this movie with their little ones but they should be ready to explain the political symbolism used in the movie. All in all, The Donkey King is highly entertaining and a must watch!